The collard greens that I have received are red. Is this normal/healthy? Image attached. Google searching this gives me zero results that are anywhere near relevant. I also can't find any images of red collard greens, they are always green in the image search. No, that is not normal for collards. Enlarging the picture, the discoloration looks to be a brownish-red. Those leaves look to be very old and quite possibly have been frozen (while still in the field), especially the one on the right. I would be tossing those. Not the answer you're looking for? Browse other questions tagged ingredient-selection greens or ask your own question. What is the cellular activity behind massaged greens? Are sesame greens served raw, or cooked? 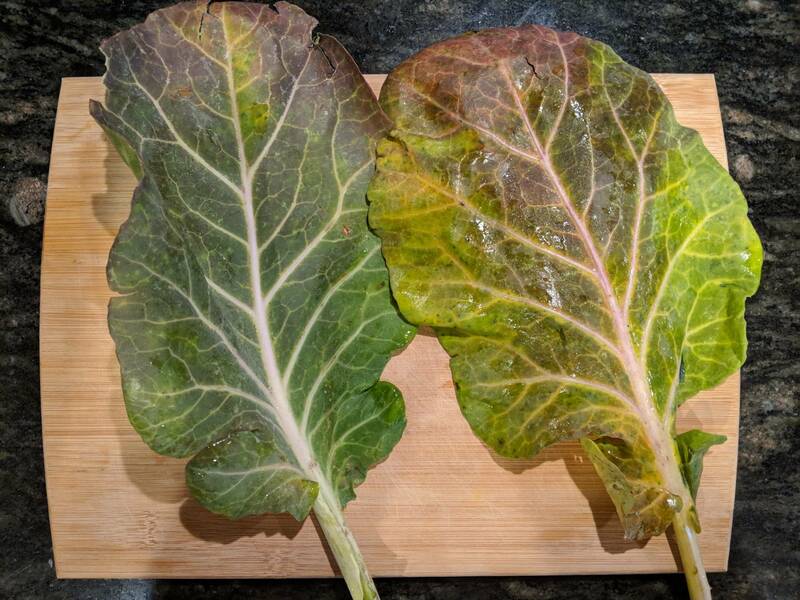 Should I wash my pre-washed greens? What is the best way to add greens to an omelette?